Sun Creams are basically one of the most widely sold cosmetic product in the skin care array. And with this in mind, we are faced with that never ending dilemma of which is the best. Which lasts longer? Which one is best to pair with your daily makeup routine? And whatnot. So By any chance, have you thought of wishing for a sun cream that can be used as a base makeup at the same time? I believe you do. This time, I’ll introduce to you a Sun Cream that has the benefits of a base makeup and sunscreen at the same time. 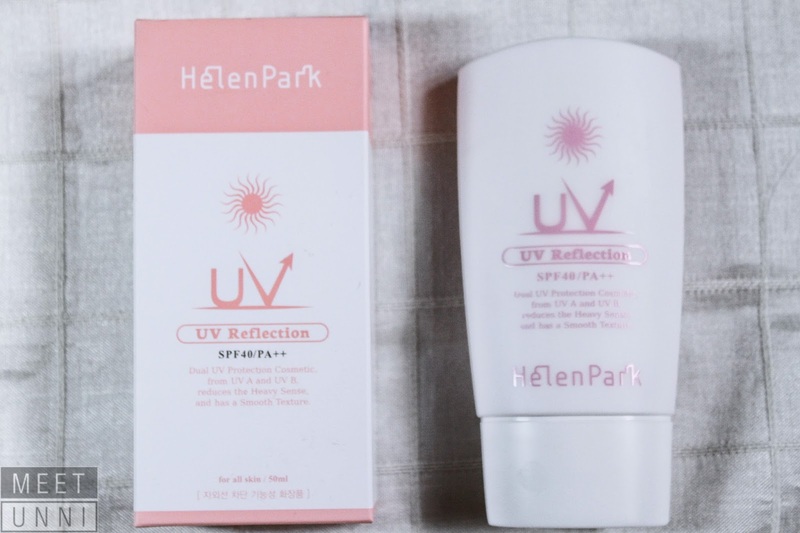 This is Helen Park’s UV REFLECT SUN CREAM. 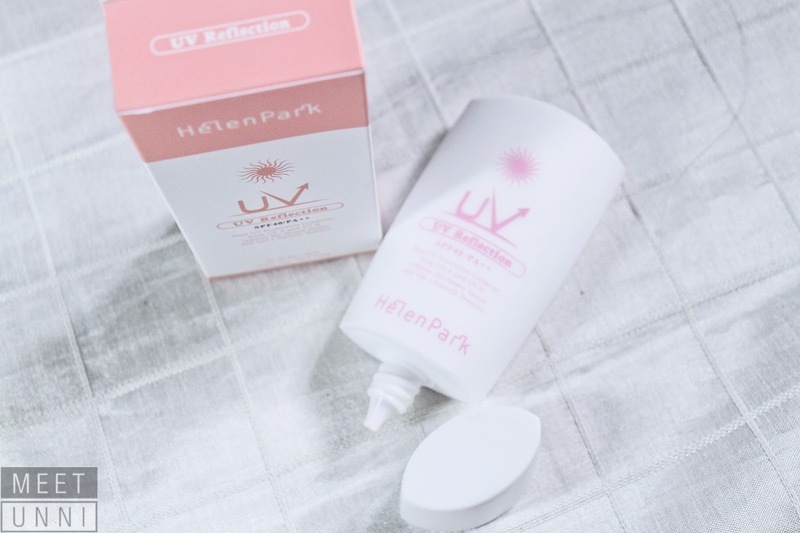 This UV Cream is formulated with SPF40 and PA++ which protects from UVA and UVB rays. So before we move on to more on this product, let us know first what is UVA and UVB as well as the grade ratings on SPF and PA.
Like what we have learned back in general science class, UV or ultraviolet rays are the radiation we get from exposing under the sun. It has different lengths which reach us in different areas on our skin. UVA are the long rays that reach deep into our skin down to the third and innermost layer of our skin; known as the Dermis. UVB are the short length rays that reach our outer skin layer or the surface of the skin. This ray is usually responsible for sunburns and the like. Now how to protect your skin from these rays? The answer is SPF and PA. SPF protects the skin from UVB rays while PA protects the skin from UVA rays. On the other hand, PA is the protection from UVA rays. The + signs are the grade of protection it gives. So we often see a PA+,++ and +++ in sun care products. Now also this sun cream falls in the middle of the threshold, which again is BEST! 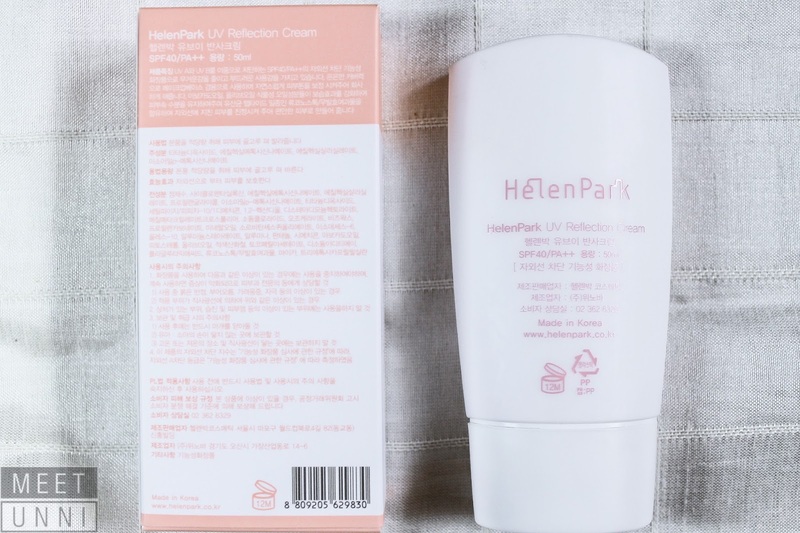 Like always, Helen Park tells us, “less is more” thus they formulated this revolutionary sun cream that can be used as skin care and makeup at the same time. What I love about it is that it claims it is nonsticky and light weight; which is really true. Usual sunscreen creams are a bit thick and feel thick, which is uncomfortable. This on another hand, is a bit dense on coverage but never thick and sticky on the skin. With this said, following it up with your daily makeup doesn’t feel hot, sticky and annoying at all! It has that light pinkish color that doesn’t give a white cast on the skin compared to your regular sunscreen. Also what I like about its shade is that it gives a natural glow. In an event you are too tired of putting makeup on, this sunscreen can actually save you. Because of its subtle shade, it can cover redness on the skin and gives that neat and bright look. Thus you can wear it without applying BB Cream at all. Helen Park just gave us a Sunscreen and BB Cream in one! And yes, it has moisturizing properties as well. Another thing that they take pride on is that they strongly recommend this product for Men. This is because Helen Park knows too much that Men never really like applying a lot of products on their faces but they also hope for a better appearance on their skin. This sun cream just gave them a reason to have a beautiful skin. 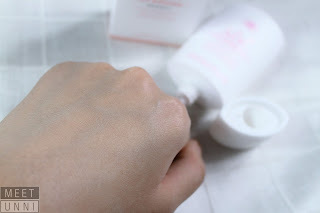 Because it is light weight, it corrects skin tone, it has UV protection and it gives off a neat and bright looking skin. A Product like this is seriously a need and a must use for the whole year. You can never go wrong with this! You know why I slashed one point from it. It’s basically good and very comfortable for a sun cream; which is great. But the scent is kind of off. So good bye perfect score rating.